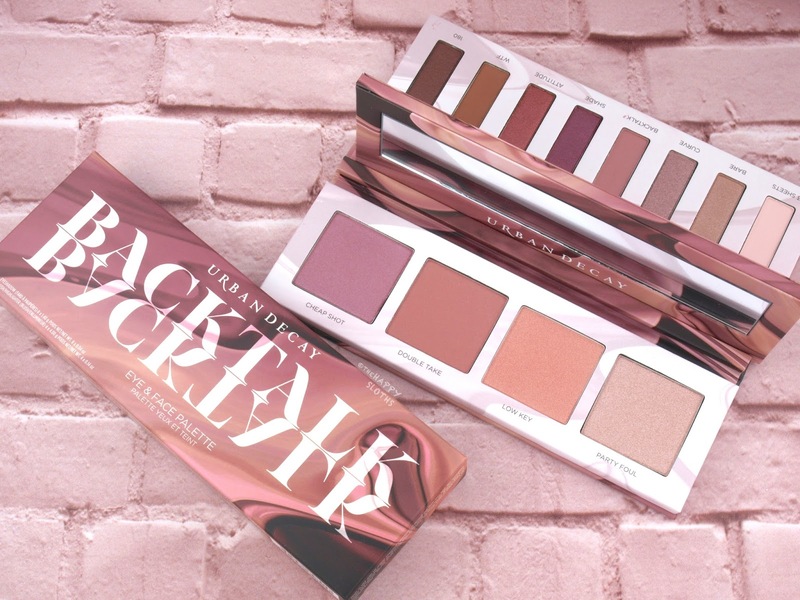 The Backtalk Eye & Face Palette comes in a cardboard palette printed with a chic mauve and rose swirl pattern. The palette opens to reveal two panels separated by a removable, magnetically-attached mirror. You get a total of four blushes each weighing at 4g and eight shadows each weighing at 1.4g. The overall packaging is pretty unique but I'm not a fan of the cardboard material. 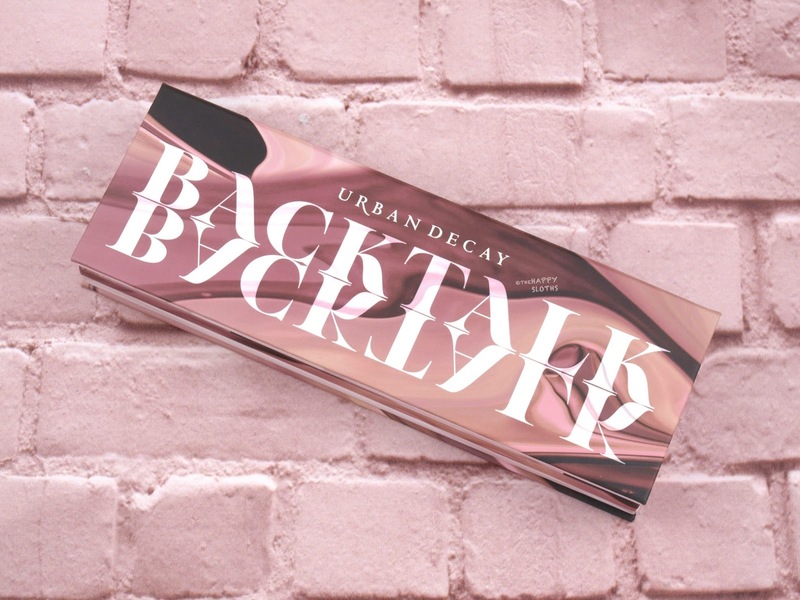 Urban Decay has long transitioned to nice, sturdy plastic palettes so this one seems like a step backward. Nevertheless, the packaging is travel-friendly and fairly well-made. 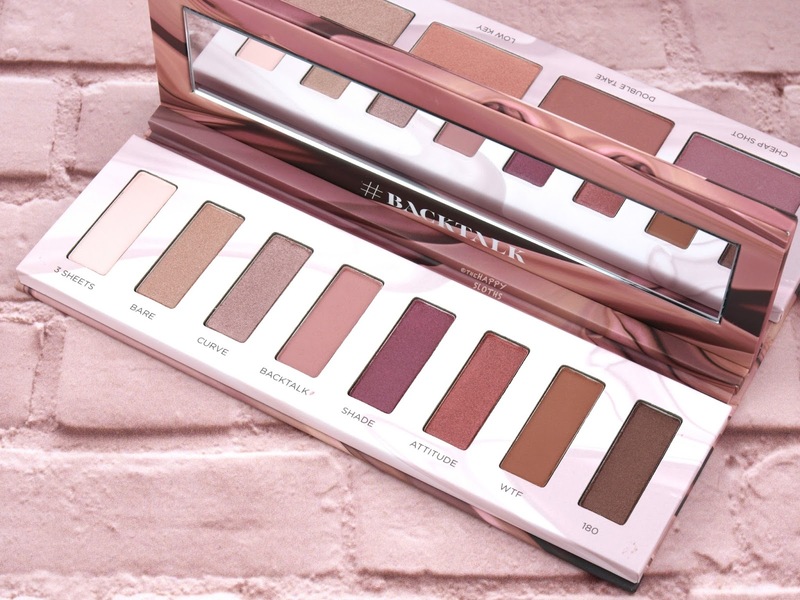 Featuring a monochromatic color scheme, the Backtalk Eye & Face Palette offers a range of mauve-nudes and rosy pinks. 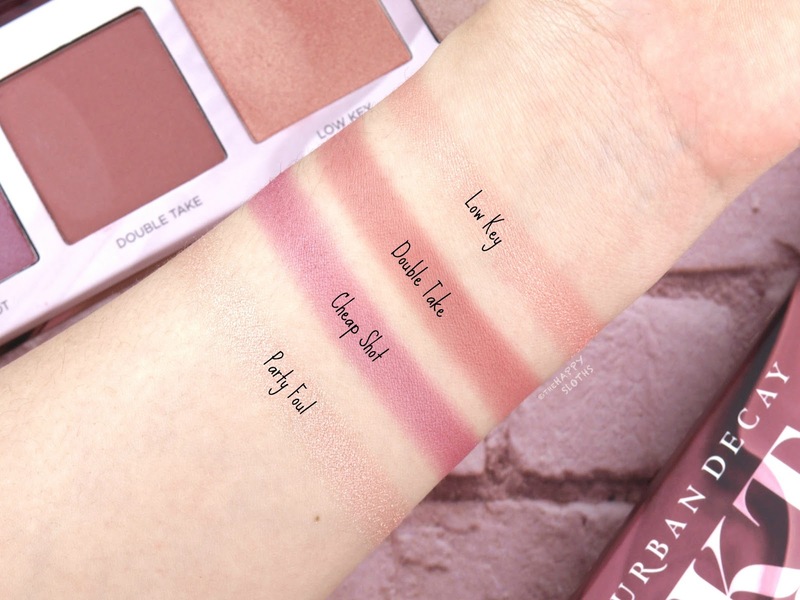 All the shadows and the cheek colors feel silky and smooth and swatched really well on my arms. However, in terms of application and performance on the eyes and cheeks, there is quite a bit of discrepancy. 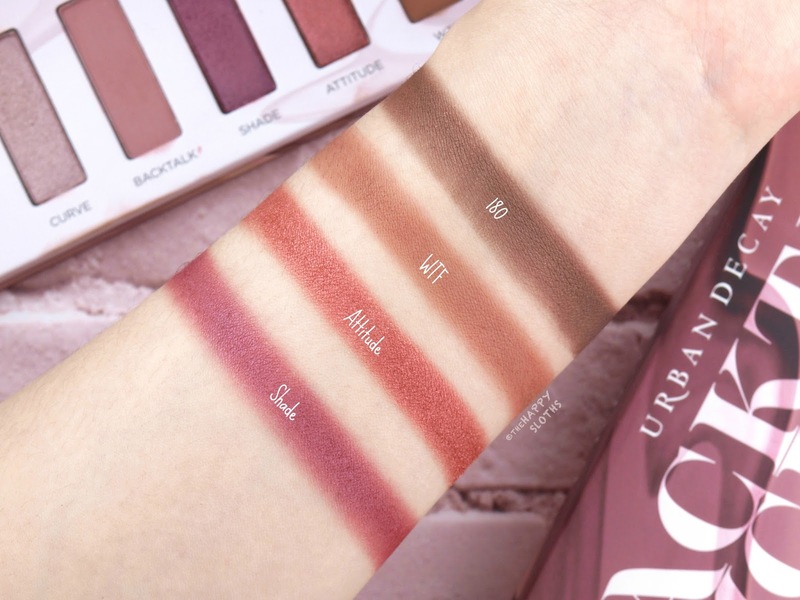 The eyeshadows aren't as pigmented and creamy rich as one would expect from Urban Decay while the cheek colors are also a bit hit and miss. See below for a breakdown of all 12 shades. Party Foul: This is a soft pink champagne highlighter. The pigmentation isn't too bad but the application is rather sheer and sparse. It's not glittery but a little too sparkly for my liking. Cheap Shot: A satin mauve pink, this shade is nicely pigmented but I found the application to be a bit uneven. Double Take: This is a dusty matte rose. The formulation is buildable and non-chalky. Low Key: A light pink golden peach highlighter, Low Key is nicely pigmented and buttery smooth. 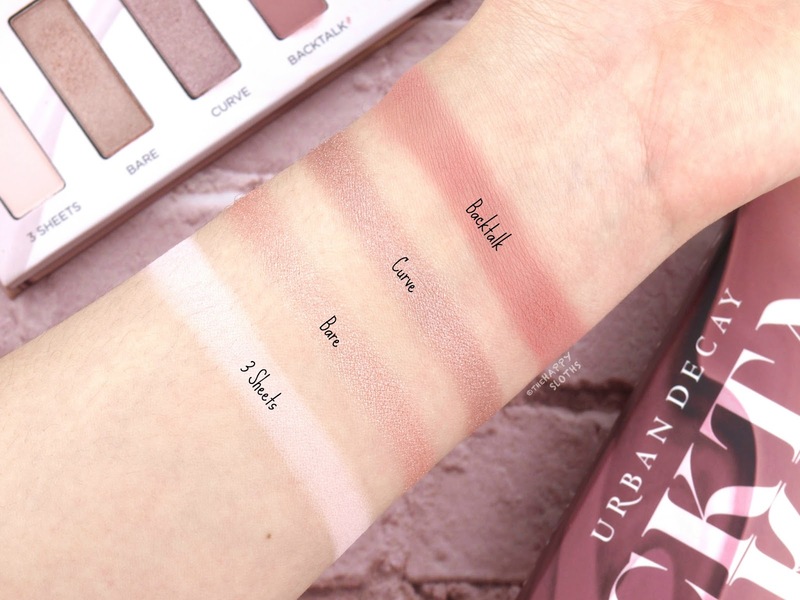 3 Sheets: A pale milky matte pink, 3 Sheets swatched really well on my arms but barely showed up on my lids. I tried to use it as a brow bone highlight and had to apply four thick layers to achieve any noticeable pigmentation. Bare: A pink beige shimmer, Bare is silky and pigmented. Curve: This is a rosy beige shimmer sprinkled with a dash silver sparkles. The formulation is pigmented and smooth. Backtalk: This is a fairly sheer muted rose brown. The pigmentation is semi-sheer but the application is even and non-patchy. Shade: This is rich plummy pink metallic. 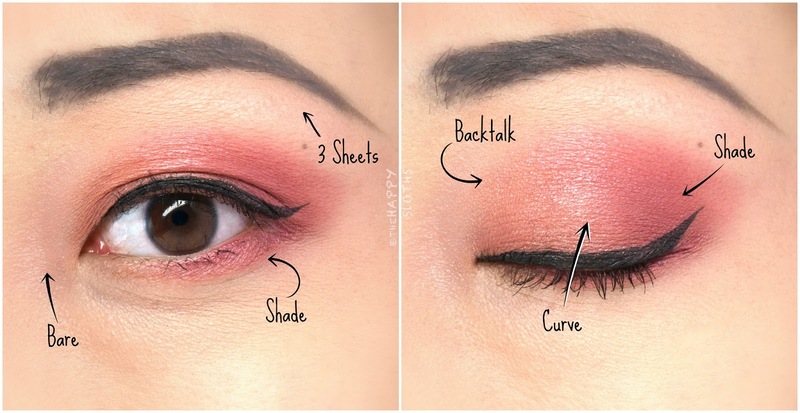 The color is nicely pigmented and creamy. Attitude: A burnt copper metallic, Attitude is very pigmented and buttery smooth. WTF: This is a simple medium matte brown. The formulation is creamy and decently-pigmented. 180: A dark satin brown, 180 is not as pigmented and I would have expected but the formulation is buildable and non-chalky. Below is a look I created using the Backtalk Eye & Face Palette. I rarely play with pink eyeshadows but I'm pretty happy with the finished look. 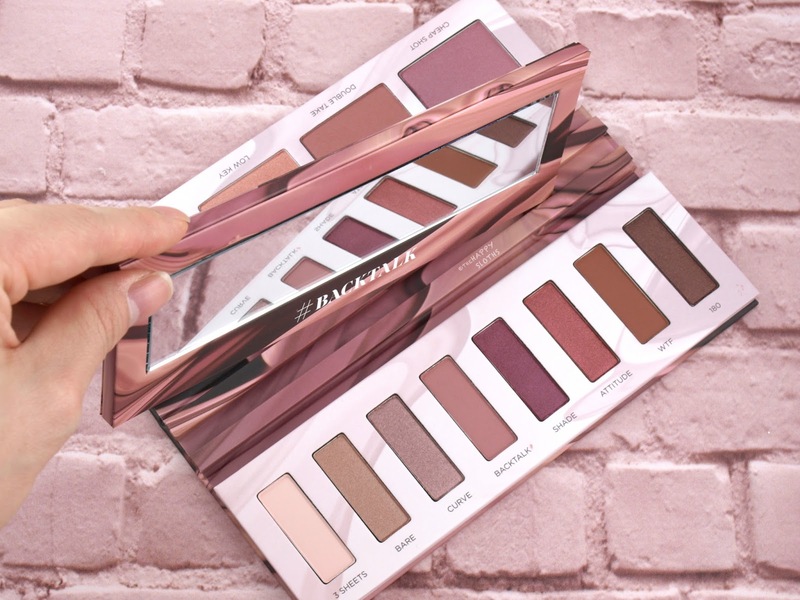 In terms of versatility, this palette is definitely limited and given the mixed-bag formulation, I would only recommend it to those that really love the color scheme. 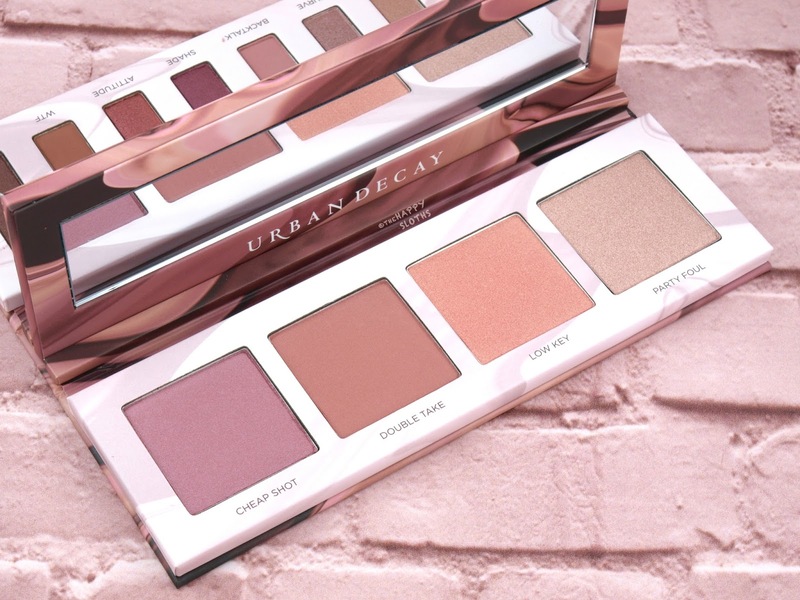 Urban Decay is available in stores and online at Sephora, Shoppers Drug Mart, freestanding Urban Decay stores and UrbanDecay.ca.